Today is my partner and my Dad’s birthday! It’s also what was my due date last year! 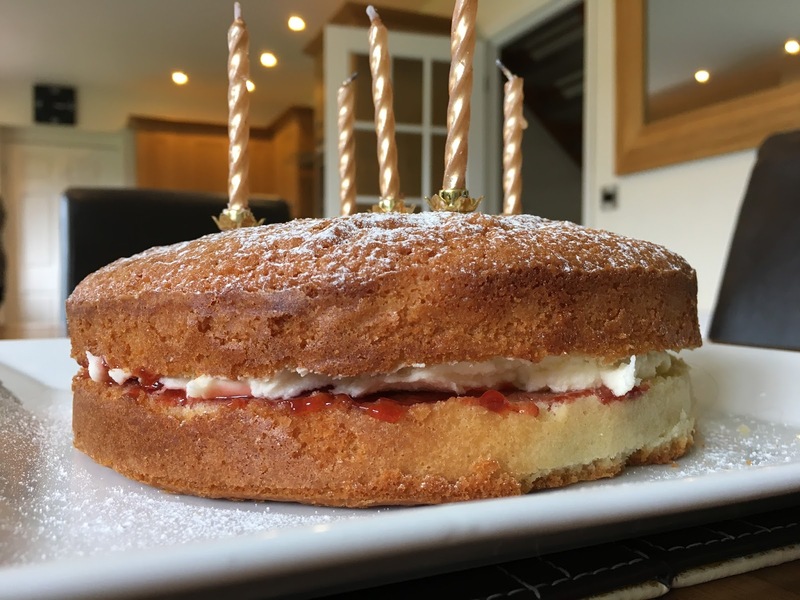 My sister has baked this vanilla sponge cake for the occasion and it looks delicious! I can’t wait to tuck into it! She is also baking a cake for my little boys birthday too and I can’t wait to see this, it is going to be amazing! We have all put a bet on the Grand National and like we do every year, we’ll all sit around the TV shouting for our horses. Do you follow the Grand National? Do you place any bets? Or are you against it? Next Post Shock To The System!